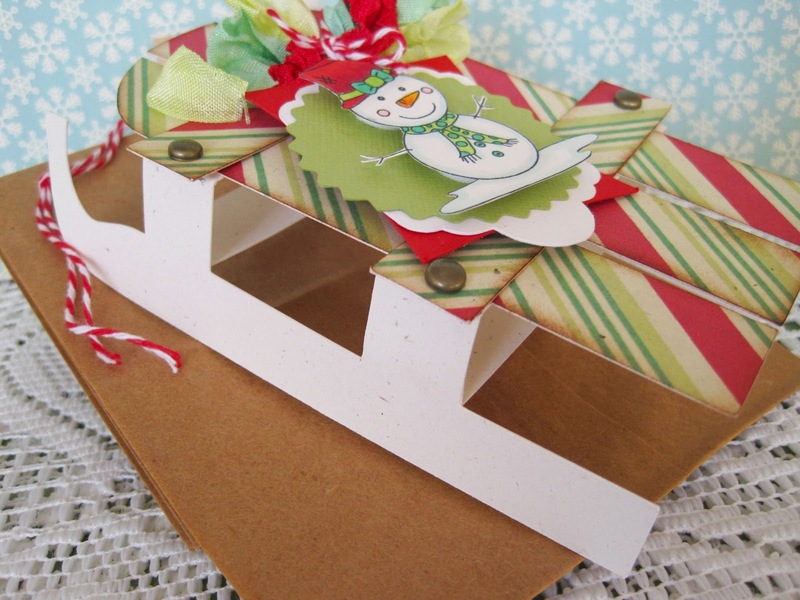 I absolutely LOVE this little sled template from My Time Made Easy! I'm going to fill up the brown bag with goodies and then when the goodies are all gone, my friend will still have the very cute sled for decoration. 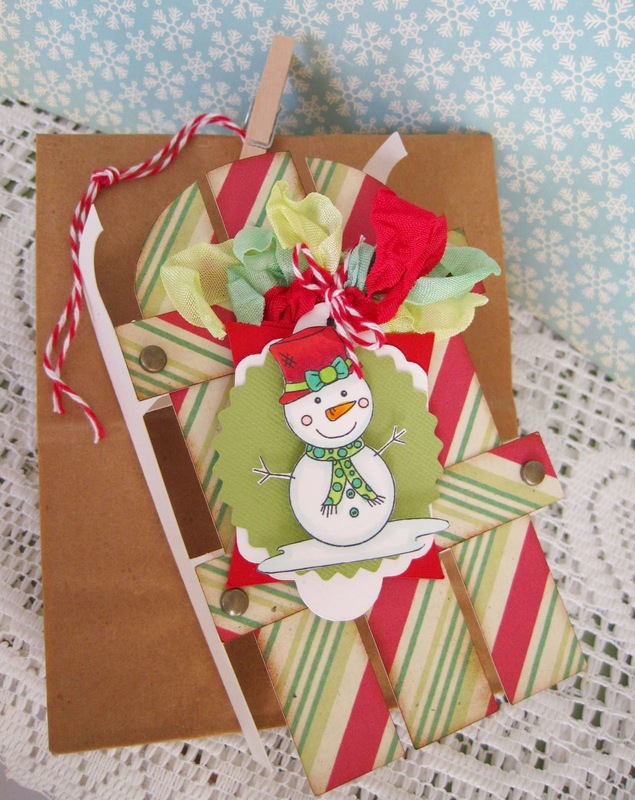 I used the Hanging Holiday Sled template along with Candy Claus papers. 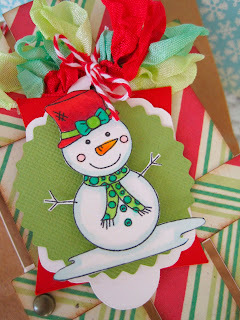 The snowman tag is shapes from Homemade Holiday Labels cut file and the darling snowman from Made With Snow digital stamp. 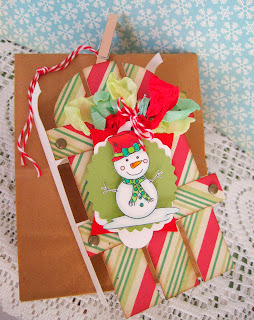 Oh how wonderful it must be to take such a cute, pretty sled out into the snow Lori! Wish they were all this pretty!! TFS another wonderful project! Lori this is sooo cute. I need me one of those fancy dancy cutting machines but where would I put the thing. I love your sled! A gift that keeps on giving..now that's a genius idea. 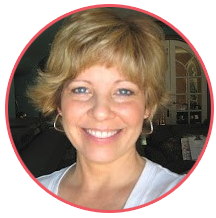 I love the versatility of what you've created here Lori. 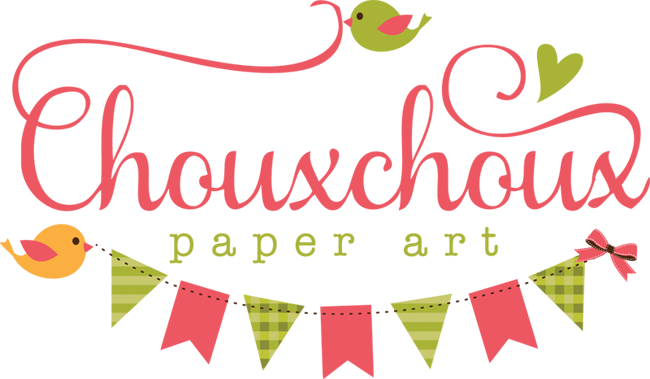 The holiday spirit is just beaming on your blog!! Oh Lori - your snowman is so cute, sweet and adorable. I absoluteblogly love it. Thanks for leaving such a sweet comment on my blog today. I really appreciate it. By the way - I am having a blog candy give away starting tomorrow if you would like to join in.